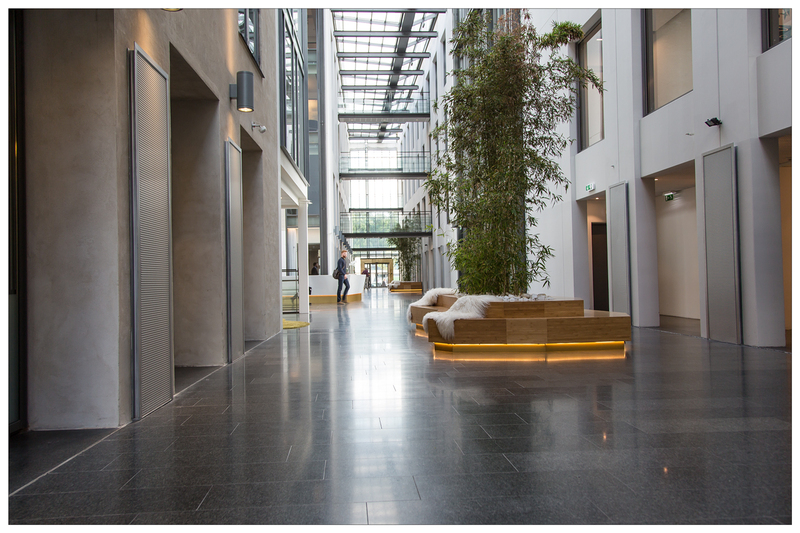 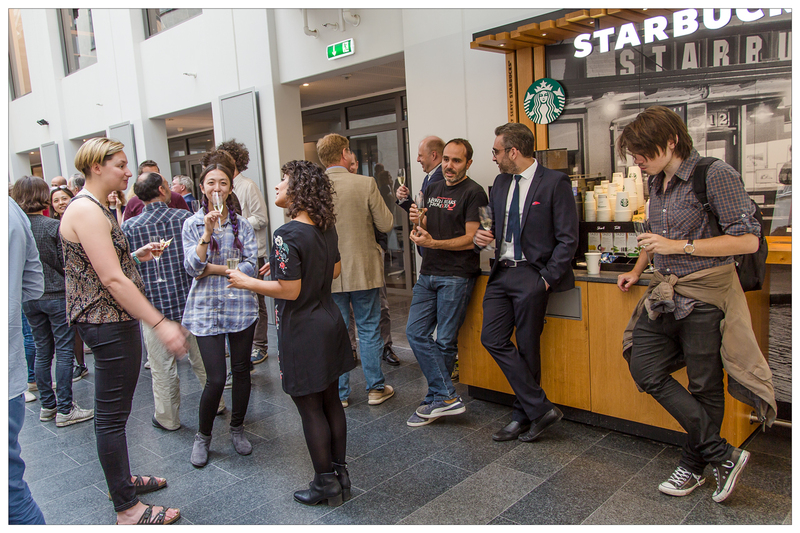 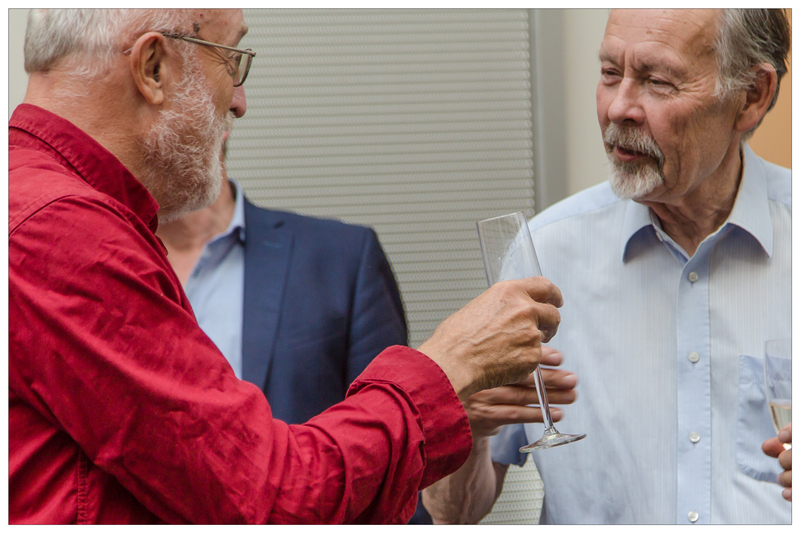 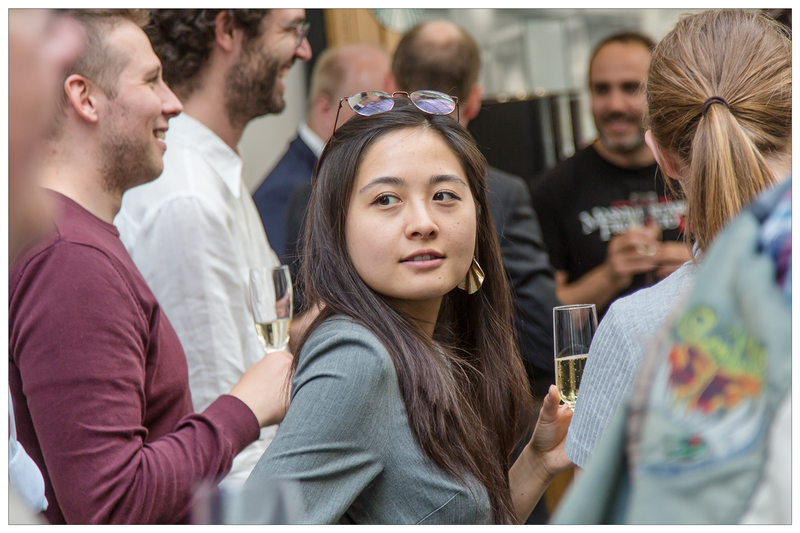 The official opening of the Cosmic Dawn Center (DAWN), a new basic research center of excellence supported by the Danish National Research Foundation, was celebrated on June 22nd, 2018 at Vibenshus Runddel the soon to be home of the center’s scientists and engineers. 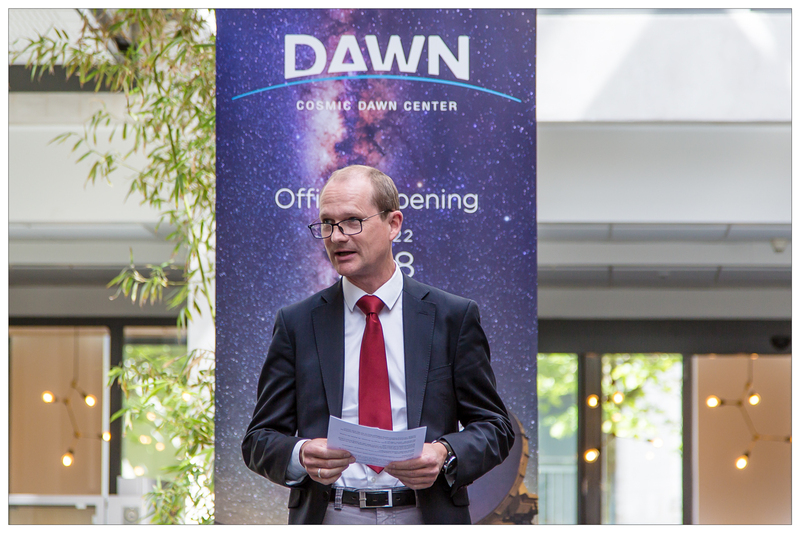 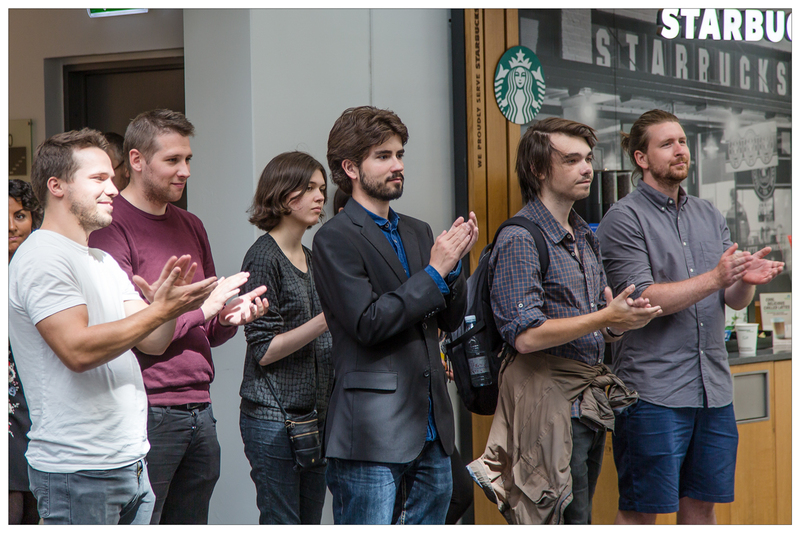 Click on the image to see more pictures from the opening of DAWN. 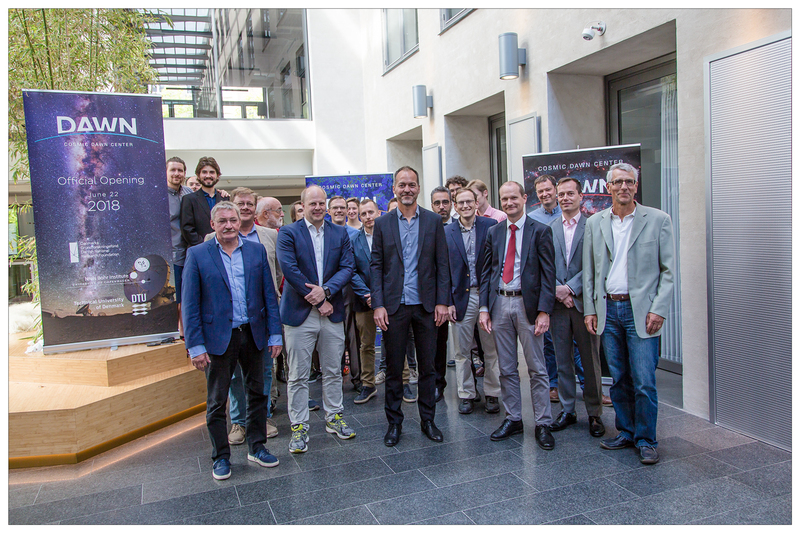 At the heart of the center is a unique partnership between the Niels Bohr Institute, University of Copenhagen, and DTU Space at the Technical University of Denmark. 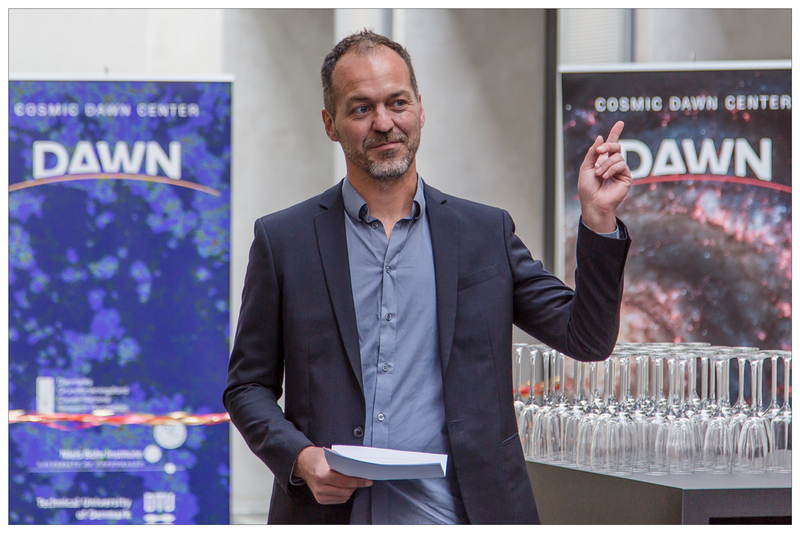 The center brings together researchers from around the world to study and expand the current understanding of Cosmic Dawn. 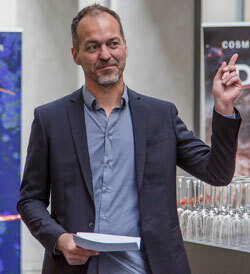 The Cosmic Dawn occurred when our infant Universe transitioned from a dark, opaque soup to a transparent Universe sprinkled with bright clusters of stars. The Copenhagen based DAWN center serves as an incubator of new ideas and directions, where scientists and engineers are exploring the critical transition that ended the Cosmic Dark Ages and revealed the first galaxies, stars, and black holes. 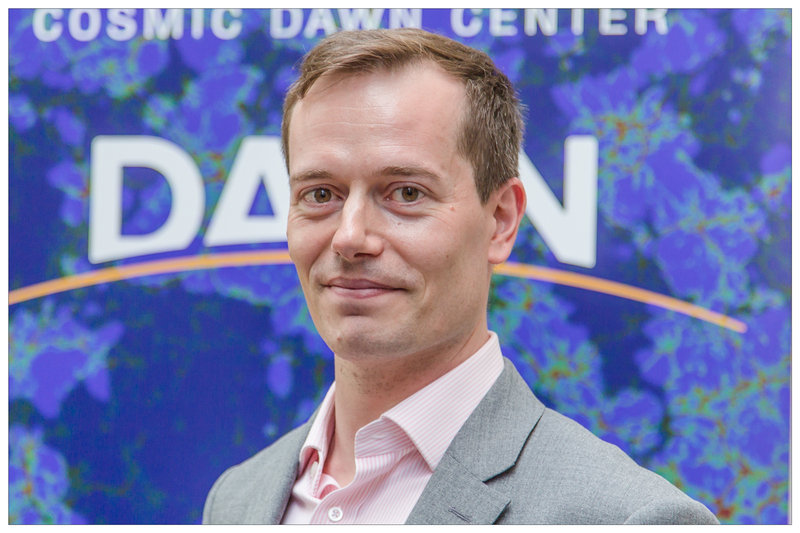 Sune Toft is director of the DAWN center . 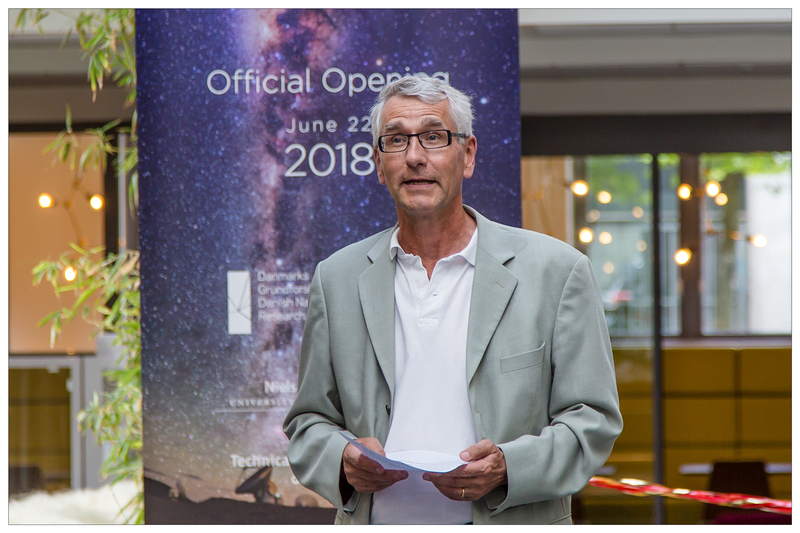 Other speakers at the opening event were the Director of the Danish National Research Foundation, Søren-Peter Olesen, the Director of DTU Space, Kristian Pedersen, the Head of Niels Bohr Institute, Jan Thomsen, and the Associate Dean for Research, Faculty of Science, University of Copenhagen, Morten Pejrup. 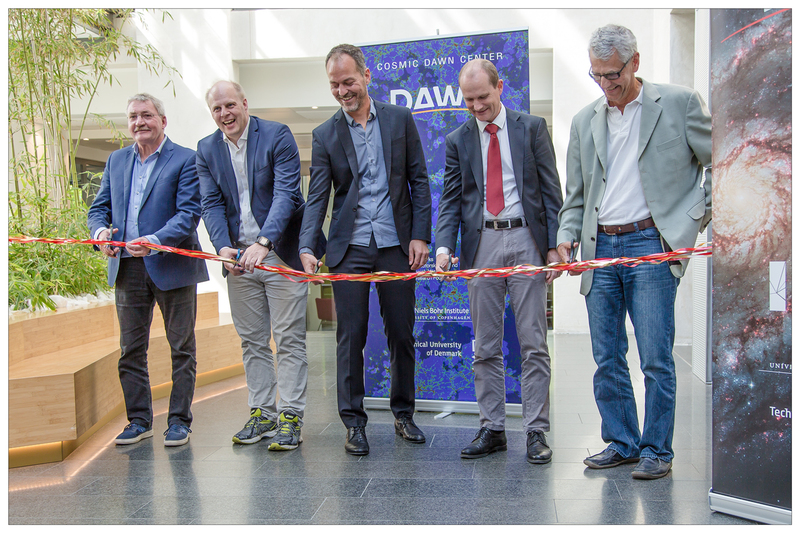 Several of the speakers spoke about the innovative vision of the DAWN center and expressed their enthusiasm at seeing the group of scientists and engineers who have come together to push the boundaries of theoretical and experimental knowledge in this field. 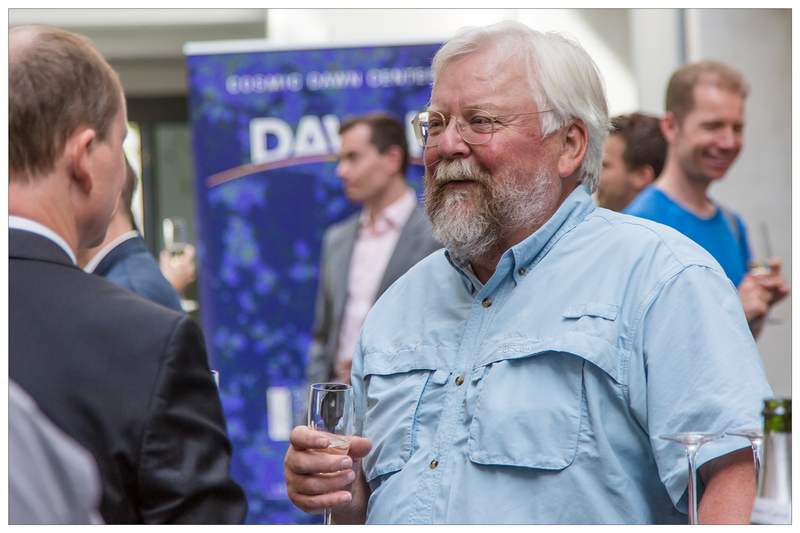 The opening was the last day of the 2018 DAWN summit which brought together leaders in the field from three different continents and representing 14 different nationalities. 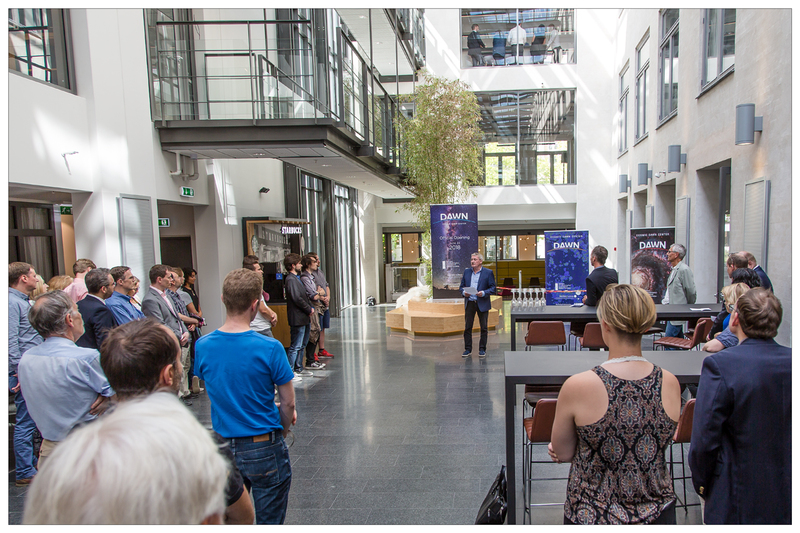 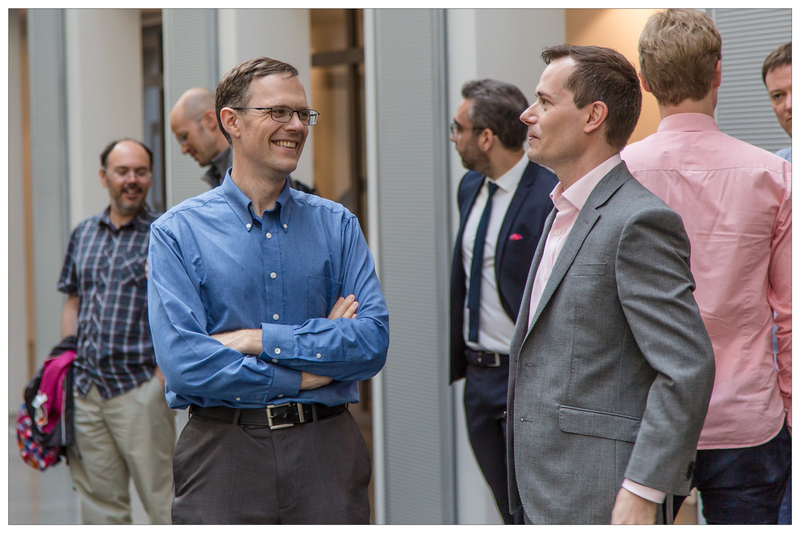 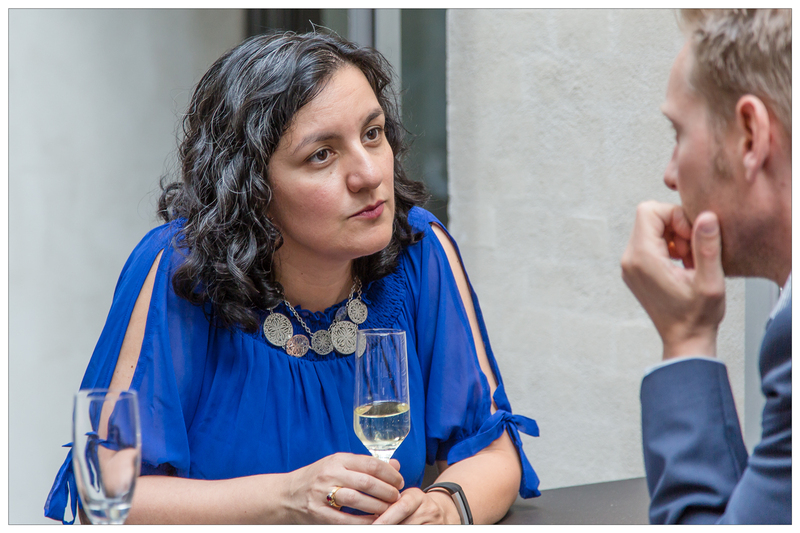 Commenting on the international and interdisciplinary nature of the center, Associate Dean Morten Pejrup emphasized the importance of clear and effective communication both internally and externally. 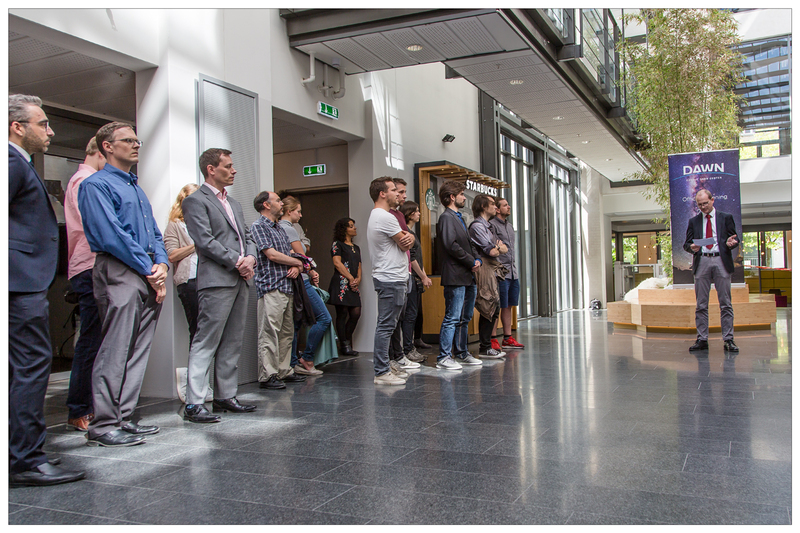 He mentioned how the University of Copenhagen values science communication and helping increase the public’s understanding of science and engineering topics. 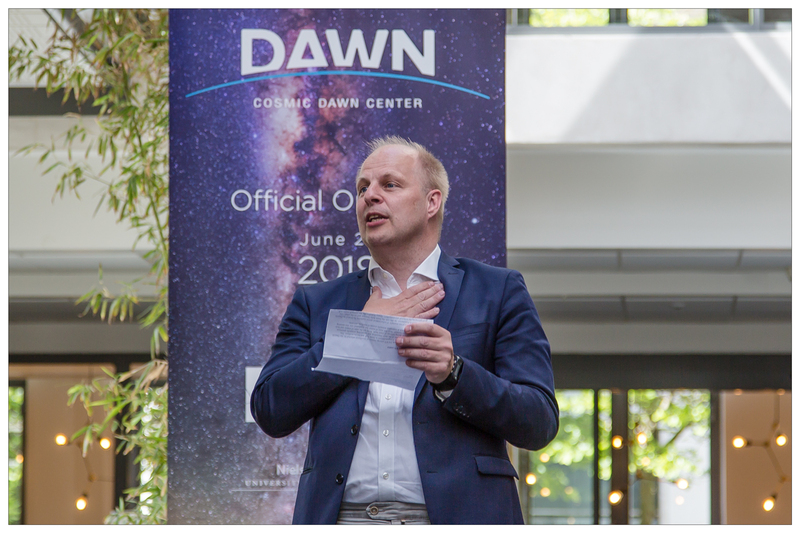 The members of the DAWN center invite the public to engage with them both through their website https://dawn.nbi.ku.dk/ and social media using #cosmicDAWN. 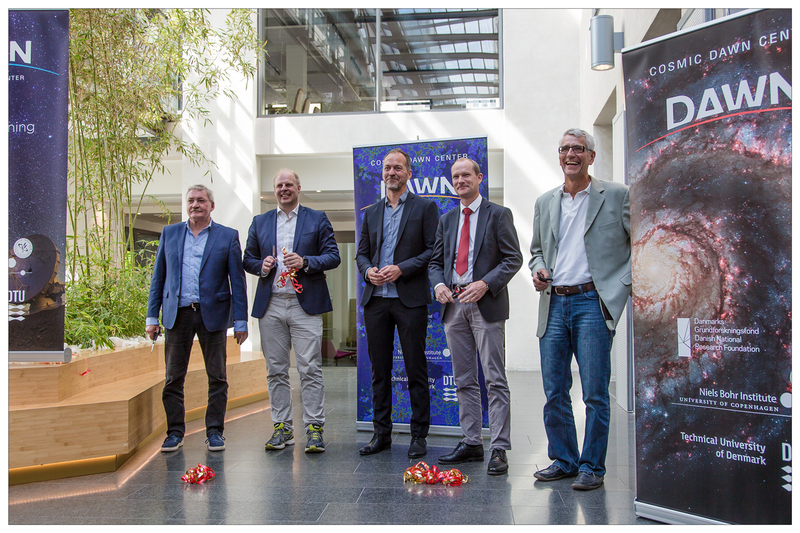 The public can join them on their curiosity driven journey to better understand how and when the first stars, galaxies and black holes formed, and how they connect to the more mature galaxies seen at later times in the history of our Universe.